When I look back at my high school years and think about what made an impression on me, I don’t think about the books I studied, or the maths problems I learnt to solve; I think about the teachers who allowed us to explore big ideas like social justice and inequality. I think about the mentors who inspired us to study what we were really passionate about and gave us the confidence to pursue our dream careers. And I also think about all the things I wish I’d learnt more about; mental health, relationships, consent, women’s rights. Educators have enormous power in shaping well-rounded and compassionate young adults. Someone who understands this more than anyone is Judith Walker; retired educator, dedicated feminist, and generous supporter of the Dugdale Trust for Women & Girls. Some years ago, Judith came to the Trust with a touching story about her mentor and lifelong friend, Elsie Robinson. Elsie taught Judith English & History from 1957-59 at high school, and she was both down to earth and deeply intellectual. Elsie remained a great influence on Judith throughout her life, as the pair shared a passion for justice, independence and equality. Elsie passed away over a decade ago, leaving a modest inheritance to Judith. Judith sat with this small sum for some time, letting it grow and appreciate as she reflected on the best use of these funds, wanting to commemorate Elsie’s values as an educator and honour her memory. We discussed how we could take this philosophy a step further by assisting teachers to promote respect and equality within the classroom. This meeting led Judith to dedicate Elsie’s bequest to the Dugdale Trust for Women & Girls, in support of a digital educational resource for teachers. And so, Rosie in the Classroom was born. I’ve been working on Rosie for nearly three years now, and in that time what I’ve noticed more and more is that teenage girls are passionate about engaging with the world around them, and eager to change the status quo. However, juggling puberty, school, work, mental wellbeing, relationships, not to mention rampant inequality on top of that, can make being a teenager pretty overwhelming at times. That’s why it’s so important that young people have strong support networks and guidance to ensure they can grow into the resilient change-makers we know they can be. This is where Rosie in the Classroom steps in. It has been incredibly inspiring working with young people over the years and seeing them engage with such important social issues. Rosie goes a long way to inform young people of their rights and provide a platform for connection but it is also clear that social issues like safety in relationships, mental health and community need more unpacking in a classroom setting, with guidance from teachers. As any good teacher knows, education is about much more than learning skills in Maths and English. It’s about personal and communal growth, development and understanding. 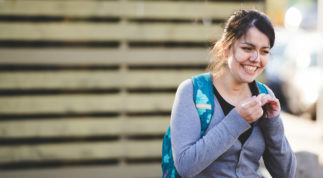 People start to shape their beliefs and connection with the wider world during their teenage years, which is why it is vital that they have the right tools to do so. 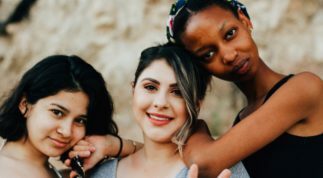 In order to grow into empowered, confident and resilient young adults, teenagers need be supported to gain a full understanding of the importance of looking after their mental health, skills to maintaining healthy relationships and friendships, while finding ways they can positively contribute to their community. That’s why we have taken Rosie that step further and developed Rosie in the Classroom. Made specifically for secondary educators, these educational modules have been written by Briony O’Keeffe, lead teacher at Fitzroy High School and creator of the Fitzroy Feminist Collective. Based on our original Rosie videos, the lessons cover topics such as friendship, healthy relationships, sexting, community activism, mental wellbeing, and more. Anecdotally, we already know that educators regularly use the Rosie website as a resource with their students. Rosie in the Classroom is about making that link explicit and includes lesson plans, activities, as well as a guide for locating these lessons within the Australian curriculum. Rosie in the Classroom will honour the legacy of both Elsie and Judith as gifted educators, continuing their work in inspiring new generations of students to become resilient, strong and courageous young people. Rosie in the Classroom is a free educational resource kit based on our original Rosie Videos, created to assist teachers in talking about difficult but important topics with students in years 7-10. Each module includes a downloadable lesson plan and video which can be screened in class. Check it out here. 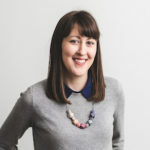 Maddy has been working at the Victorian Women’s Trust, primarily on Rosie.org.au, since 2015. 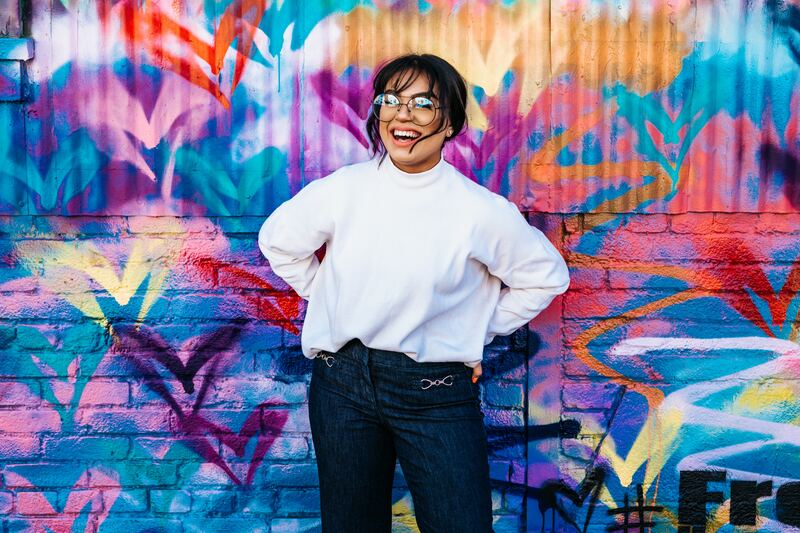 She regularly writes for the Rosie blog, edits Write Like a Girl submissions, manages Rosie social media and is involved in the overall strategic planning of the project. Maddy is passionate about music, history, art, writing, and advocating for women and girls. Rosie is a space where young women can connect with the best web resources out there, helping them to navigate life’s tricky situations. 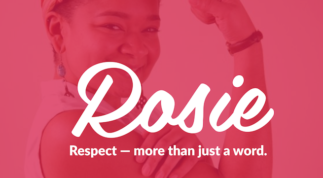 Rosie has a range of tips, links and videos all centered around a theme of respect - for your body & mind, in your relationships, at work and for the world we live in. Everyone has the right to be safe in their homes, on the streets, at work and in digital spaces.